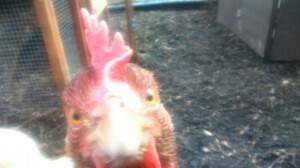 I am currently chicken sitting for someone on our allotments. 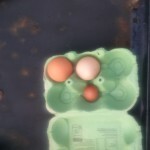 I thought I would share a photo of one of the chickens and the eggs. He has two older chickens (ex-bats) and three new ones that are also ex-bats. He’s only had them since Sunday. 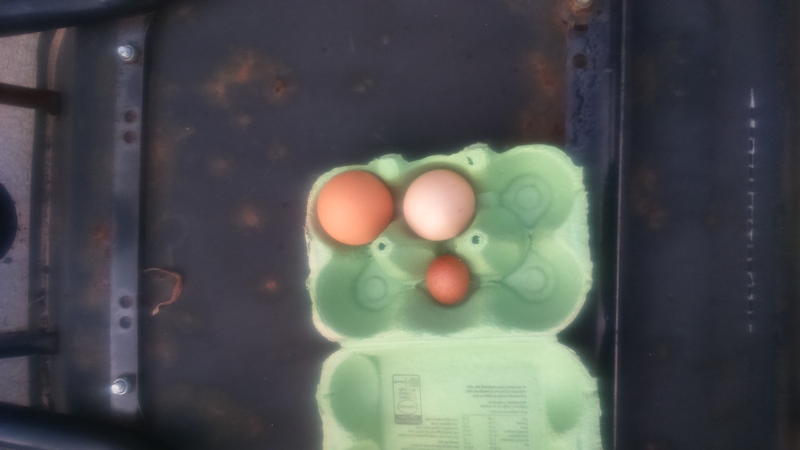 There was a tiny egg yesterday and a normal size one later on. Today there was another tiny egg. This is a book I’ve borrowed from the library and then loved it so much I got a copy for some friends who had chickens so they could enjoy it too. Excellent book about chickens – a great narrative running through lots of useful information. Brilliant book. Can’t recommend it enough to anyone thinking about chickens.